This assignment asks students to relate the concepts seen in the movie Inside Out with terms they have learned regarding memory. Connects well to the "Cognition" unit in AP Psychology. 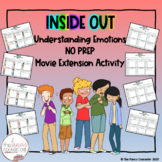 This worksheet can be used with the movie "Inside Out." I made this worksheet to use as the "modified" version for my special education kiddos who were pretty low. This could also be used as an elementary worksheet. 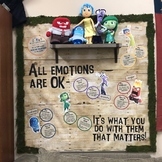 Disney's "Inside Out" is an excellent resource to start discussions about mental health and emotional awareness. These half-sheets can be used as students view the film to record lessons they learn about each emotion, and reflect on the purpose of the movie. Discussion/assignment questions to use after the biological basis of behavior and cognitive units. Students will love tracking their feelings throughout the day with this colorful bunting. 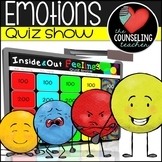 The colors and emotions match those from the new movie, Inside Out. A great addition to your classroom or office! 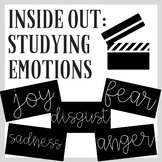 This is an article from Psychology Today with a brief overview of the synopsis of "Inside Out" and comprehension questions to go along with it, followed by a final question meant to be answered as students view the film. This is perfect for Psychology classes!